Not to be confused with Grammy Award for Best Music Film. Originally called the Grammy Award for Best Video, Short Form, the award was first presented in 1984, as was a similar award for Best Long Form Music Video. From 1986 to 1997, the category name was changed to Best Music Video, Short Form. However, in 1988 and 1989, the award criteria were changed and the video awards were presented under the categories Best Concept Music Video and Best Performance Music Video. The awards were returned to the original format in 1990. The category was called Best Short Form Music Video until 2012, from 2013 it was shortened to Best Music Video. Award recipients include the performers, directors, and producers associated with the winning videos. 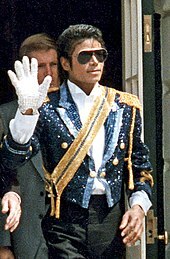 Johnny Cash, Peter Gabriel, Kendrick Lamar, Janet Jackson, and Michael Jackson hold the record for the most wins as a performer in this category, with two each (Michael was also a member of the supergroup USA for Africa and was highly involved in the "We Are the World" project). Mark Romanek holds the record for the most wins as a director, with a total of three. Icelandic singer Björk holds the record for the most nominations as a performer without a win, with four. "If I Don't Have You" by Tamar Braxton was nominated for Best R&B Performance at the 58th Annual Grammy Awards, becoming Braxton's fourth nomination. 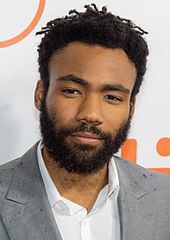 2016 winner Taylor Swift for "Bad Blood"
2017 winner Beyoncé for "Formation"
2018 winner Kendrick Lamar for "Humble"
2019 winner Childish Gambino for "This is America"
Hank Williams, Jr. and Hank Williams, Sr. – "There's a Tear in My Beer"
Knoc-turn'al, Dr. Dre and Missy Elliott – "Knoc"
Jack White and Alicia Keys – "Another Way to Die"
Gorillaz, Mos Def and Bobby Womack – "Stylo"
Jay Z and Kanye West featuring Frank Ocean and The-Dream – "No Church in the Wild"
DJ Snake and Lil' Jon – "Turn Down for What"
Woodkid featuring Max Richter – "The Golden Age"
OK Go – "Upside Down & Inside Out"
Logic featuring Alessia Cara & Khalid – "1-800-273-8255"
^[III] Award was not presented. Music video categories presented this year included Best Concept Music Video and Best Performance Music Video. "Past Winners Search". National Academy of Recording Arts and Sciences. Retrieved April 18, 2014. "Best Music Video – Short & Long Form". Rock on the Net. Retrieved June 18, 2010. ^ "Grammy Awards at a Glance". Los Angeles Times. Retrieved June 17, 2010. ^ Bedard, Paul (October 19, 2009). "Michael Jackson Is Still Helping the World". U.S. News & World Report. ISSN 0041-5537. Archived from the original on January 20, 2011. Retrieved May 9, 2011. ^ "Complete List of the Nominees for 26th Annual Grammy Music Awards". Schenectady Gazette. Schenectady, New York. January 9, 1984. Retrieved June 18, 2010. ^ "27th Annual Grammy Awards Final Nominations". Billboard. 97 (4): 78. January 26, 1985. Retrieved April 15, 2011. ^ Hunt, Dennis (January 10, 1986). "'We Are The World' Scores In Grammy Nominations". Los Angeles Times. p. 6. Retrieved June 18, 2010. Note: This source lists the directors associated with the nominated videos, but the "Nominees" column of the table contains the performing artists associated with the nominated videos. ^ Hunt, Dennis (January 9, 1987). "Grammy Nominations: Highs And Lows". Los Angeles Times. p. 5. Retrieved June 18, 2010. ^ "List of Grammy Award winners". Times-News. March 3, 1988. Retrieved June 18, 2010. Note: This source verifies the existence of the categories Best Concept Music Video and Best Performance Music Video in 1988. ^ "McFerrin and Chapman Top Grammys". The New York Times. The New York Times Company. February 24, 1989. p. 2. Retrieved May 6, 2011. Note: This source verifies the existence of the categories Best Concept Music Video and Best Performance Music Video in 1989. ^ Bargreen, Melinda (January 11, 1991). "Symphony Nominated For 4 Grammys". The Seattle Times. Retrieved April 15, 2011. ^ "The Grammy Nominations". Los Angeles Times. January 9, 1992. p. 5. Retrieved April 15, 2011. ^ Macdonald, Patrick (January 8, 1993). "Grammys Show Influence Of Seattle Music". The Seattle Times. Retrieved June 18, 2010. ^ "The 37th Grammy Nominations". Los Angeles Times. January 6, 1995. p. 16. Retrieved April 15, 2011. ^ "List of Grammy nominees". CNN. January 4, 1996. Retrieved June 18, 2010. ^ Kot, Greg (January 8, 1997). "Pumpkins A Smash With 7 Grammy Nominations". Chicago Tribune. p. 12. Retrieved April 15, 2011. ^ "Complete List of Academy Voter Picks". Los Angeles Times. January 7, 1998. p. 15. Retrieved May 6, 2011. ^ Kot, Greg (January 6, 1999). "10 Nominations Put Lauryn Hill Atop Grammy Heap". Chicago Tribune. p. 10. Retrieved April 15, 2011. ^ "Santana Tops List With 10 Grammy Nominations". The Seattle Times. January 5, 2000. Retrieved April 15, 2011. ^ "43rd Annual Grammy Awards". CNN. February 21, 2001. Retrieved April 15, 2011. 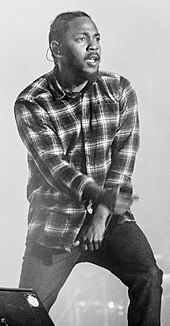 ^ "Complete list of Grammy nominees; ceremony set for Feb. 23". San Francisco Chronicle. January 8, 2003. p. 7. Archived from the original on March 22, 2012. Retrieved June 22, 2010. ^ "Nominee list for the 46th Annual Annual Grammy Awards". LiveDaily. December 4, 2003. Archived from the original on January 2, 2010. Retrieved June 24, 2010. ^ "Nominee list for the 47th Annual Annual Grammy Awards". LiveDaily. December 7, 2004. Archived from the original on January 7, 2010. Retrieved June 24, 2010. ^ "The Complete List of Grammy Nominations". The New York Times Company. December 8, 2005. p. 8. Retrieved June 24, 2010. 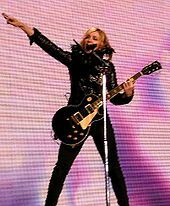 ^ "Grammy 2008 Winners List". MTV. February 10, 2008. Retrieved June 24, 2010. ^ "The 51st Annual Grammy Awards Winners List". National Academy of Recording Arts and Sciences. Archived from the original on January 24, 2010. Retrieved June 22, 2010. ^ "The 52nd Annual Grammy Awards Nominees List". National Academy of Recording Arts and Sciences. Archived from the original on June 18, 2010. Retrieved June 22, 2010.